Learn more about Duda with customer reviews, pricing, key information and frequently asked questions. 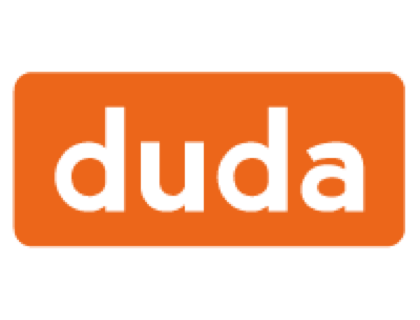 Duda is a website builder for small businesses. The platform comes with templates and an array of customization options for professional websites. Duda also enables users to create mobile-friendly sites. Pros: Mobile site options. Advanced social media integrations. Cons: Sites can only be hosted by Duda. No third-party widgets are available. Bottomline: With Duda, users can build a feature-rich site that is both desktop and mobile friendly. What is Duda's price range? Monthly plans from Duda range in price from $14.00 to $74.00. You can also opt for a custom plan with a price that's customized to meet your needs. Where is the Duda login page? You can log into your Duda account by going to duda.co and clicking the "Login" button at the top of the page. Is there a Duda free trial? Yes, Duda does offer a free 30-day trial so that you can try the platform out without making a purchase. What are some Duda alternatives? Can I create a Duda mobile site with any plan? Yes, any Duda website builder plan that you purchase comes with the option to create a mobile-friendly version of your website.